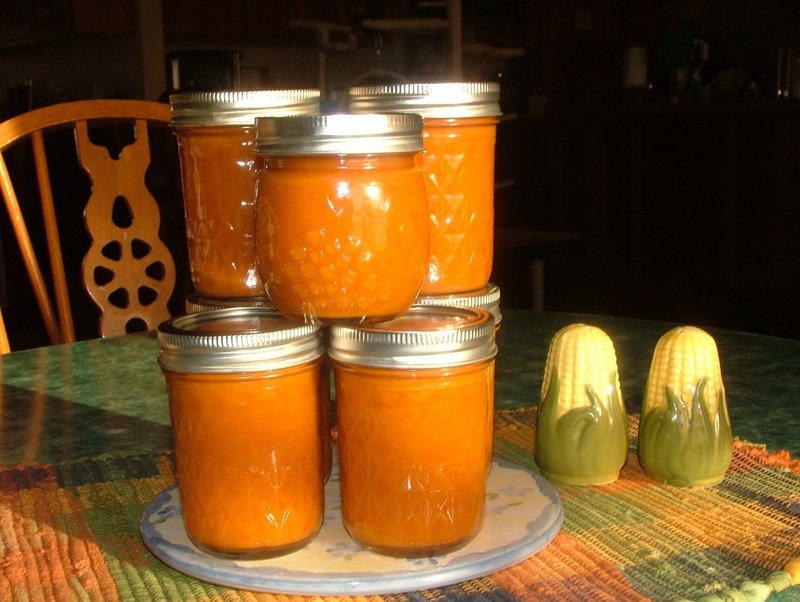 With the last of my apricots I wanted to make a final batch of BBQ Sauce but with an Asian Fusion! Our whole family loves Asian food so this should be a win-win BBQ sauce! This barbecue sauce will add an Asian flare to chicken and ribs! Combine all ingredients in large pot or Dutch oven; simmer on medium-low, stirring occasionally for 1 1/2 hours or until reduced to half. 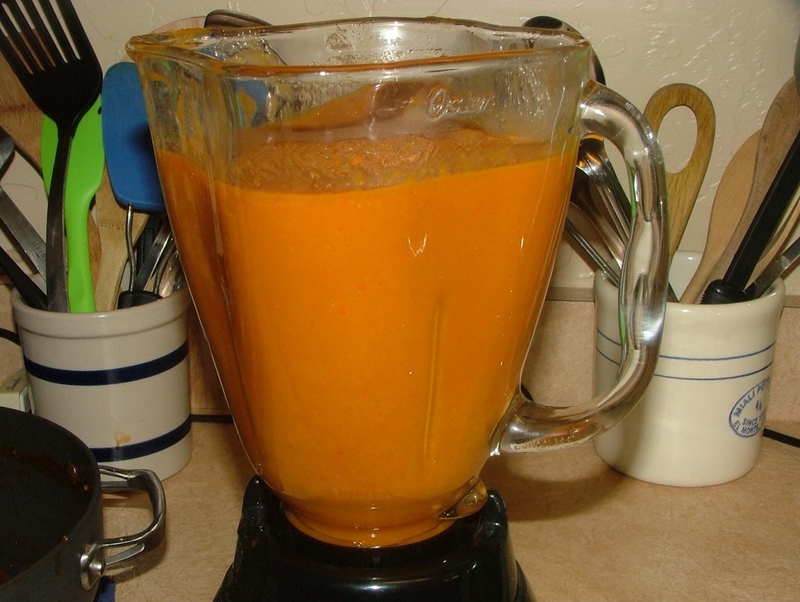 Process sauce in 2 batches in blender on LIQUEFY (should make about 7 cups). 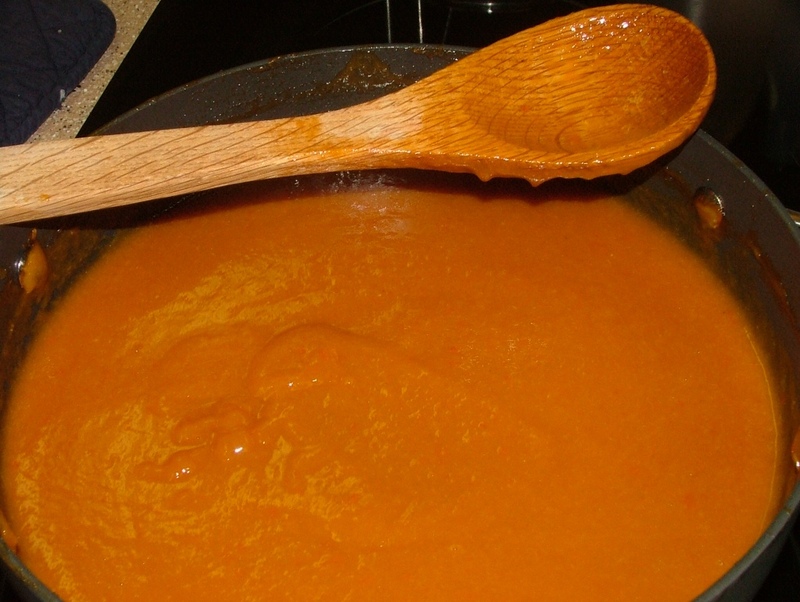 Return liquefied sauce to large pan; keep hot. 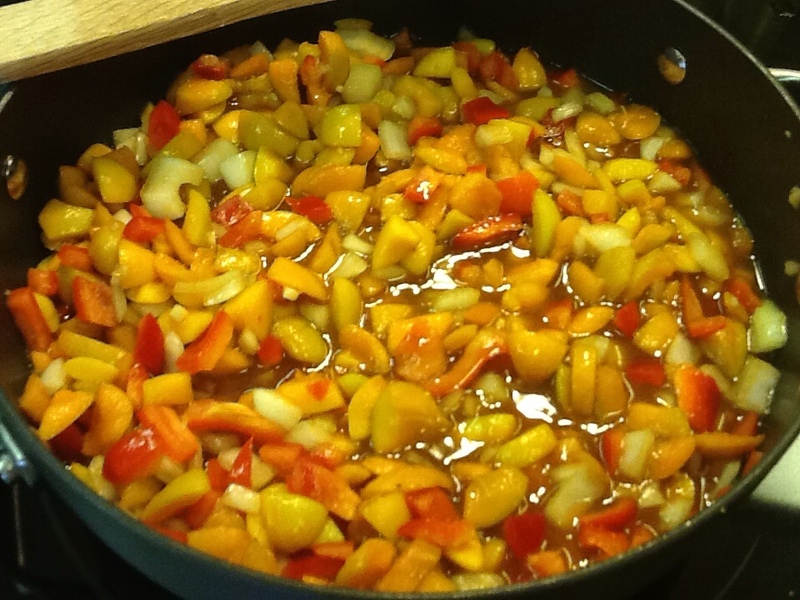 While sauce is cooking, fill canner with water; add 7 clean 8 oz. jars; heat to boiling. 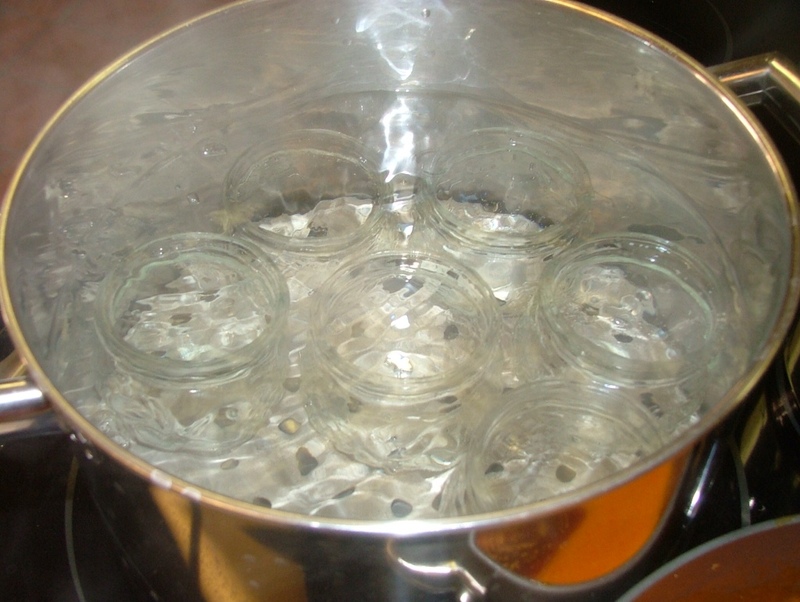 In a small sauce pan, bring canning lids and rings to a boil; turn off heat and keep hot. Fill hot jars with sauce, leaving 1/2-inch headspace, wiping jar rim clean. My pantry finally holds our year's supply of barbecue sauce in 3 different variations, and all made without the traditional tomato base! It's gonna be a very tasty year . . . Over at Julie's!! !